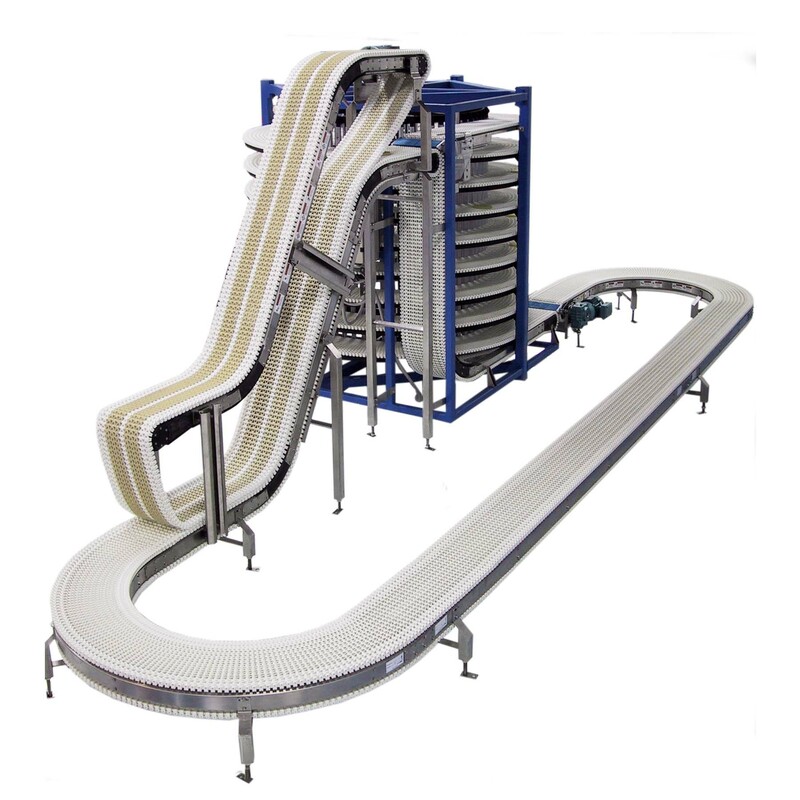 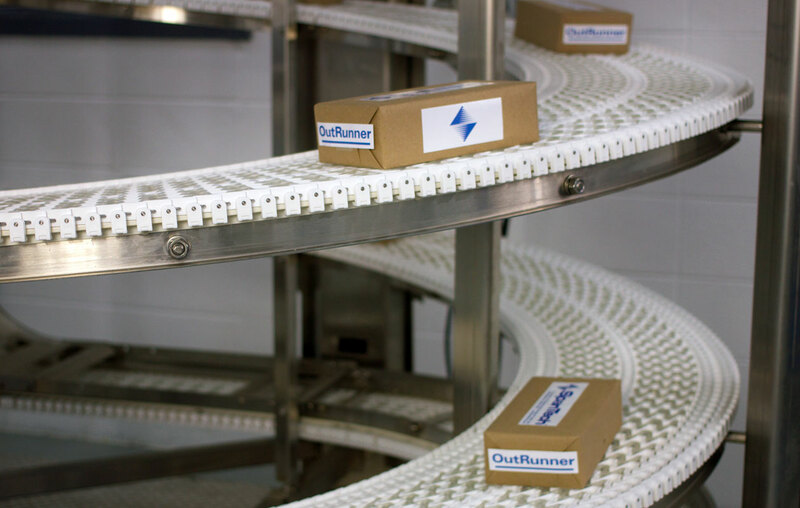 For elevation change with a minimal footprint, spiral elevator conveyors are ideal. 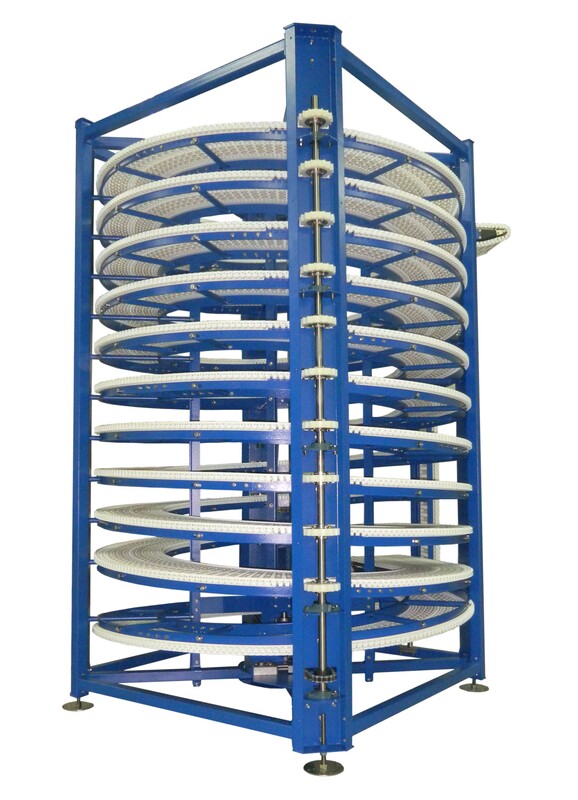 The cost-effective, compact units are not only strong, but gentle as well. 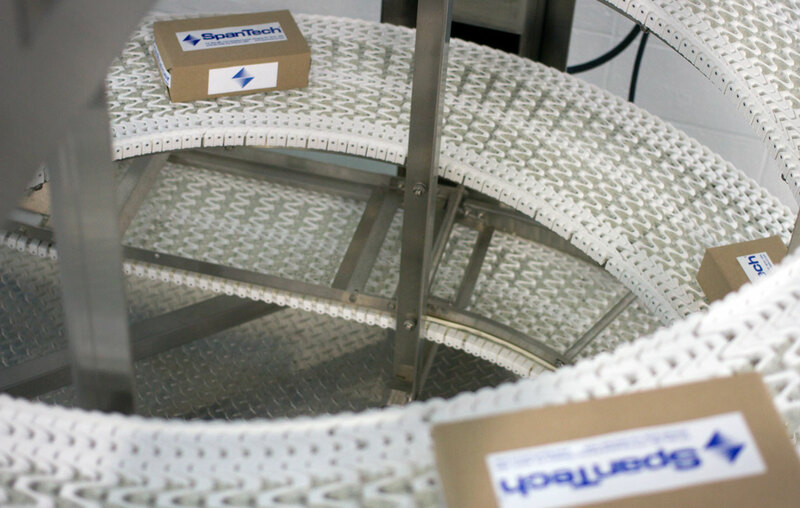 No pressure is applied to the product, so even delicate items can pass through it without damage. 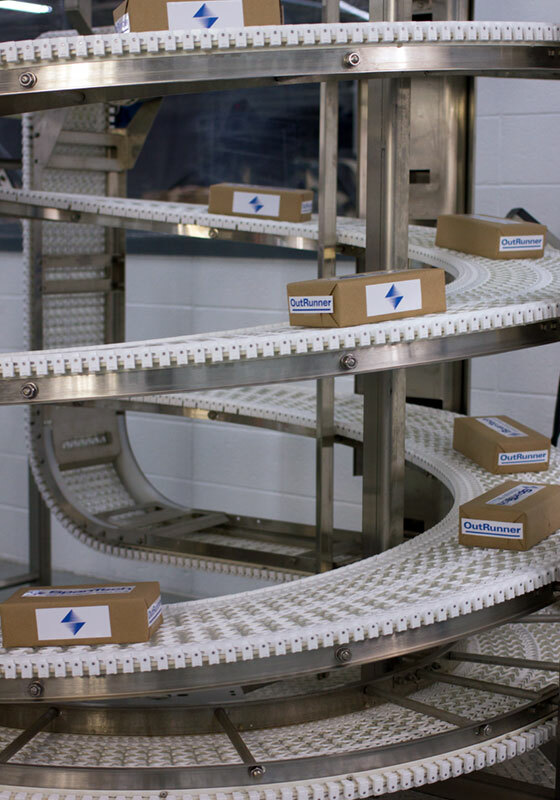 Find the perfect option in elevation change conveyors for your space with Span Tech and find all of your conveyor system solutions! 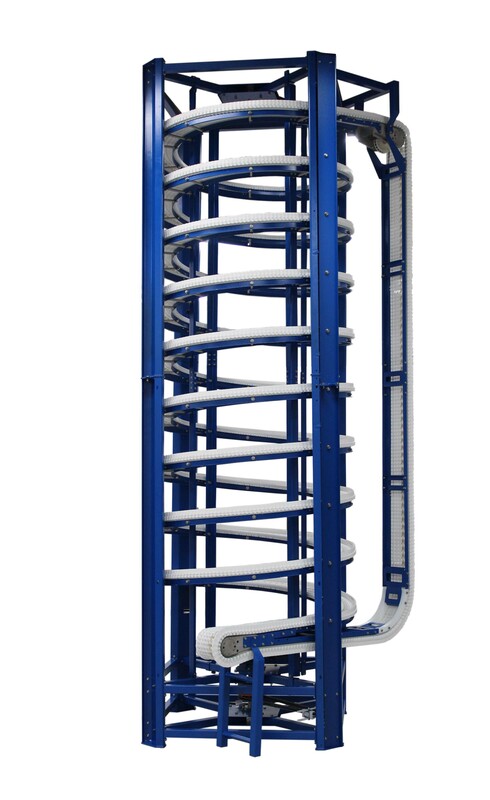 The OutRunner Spiral Elevator is driven by a single gearmotor, but each 360-degree revolution is individually driven. 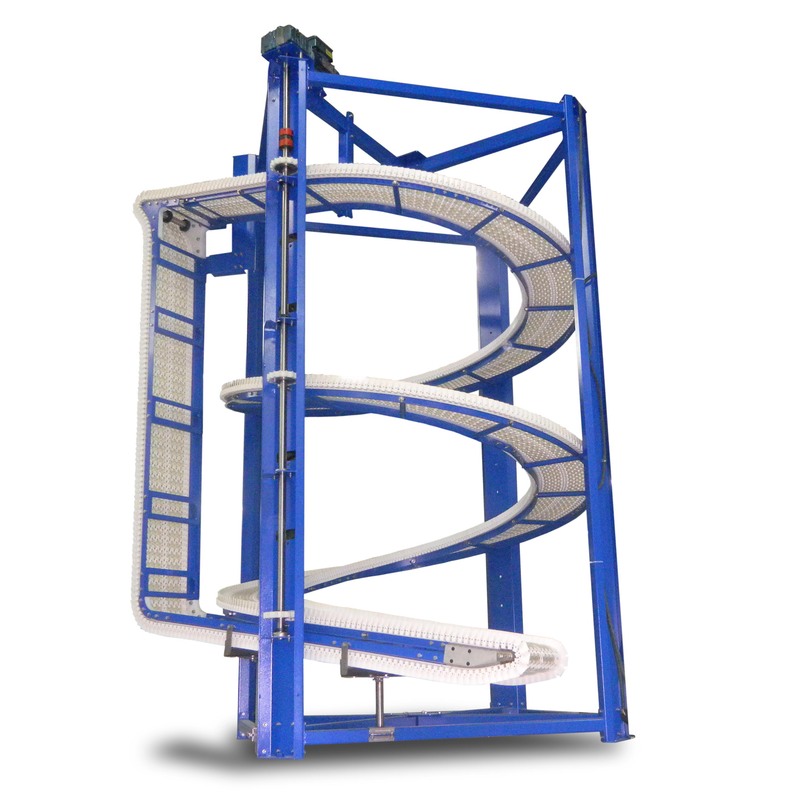 Rather than trying to drive all of the chain from one end, its design allows each tier to share the load, offering many advantages including great flexibility in loads, speeds and incline angles.